We have been soaked quite a lot this year, Soaked in Snowdonia, Washed away in the Lakes, Doused in the Brecons and Drenched in Dartmoor. It has been a wet, wet, wet year. 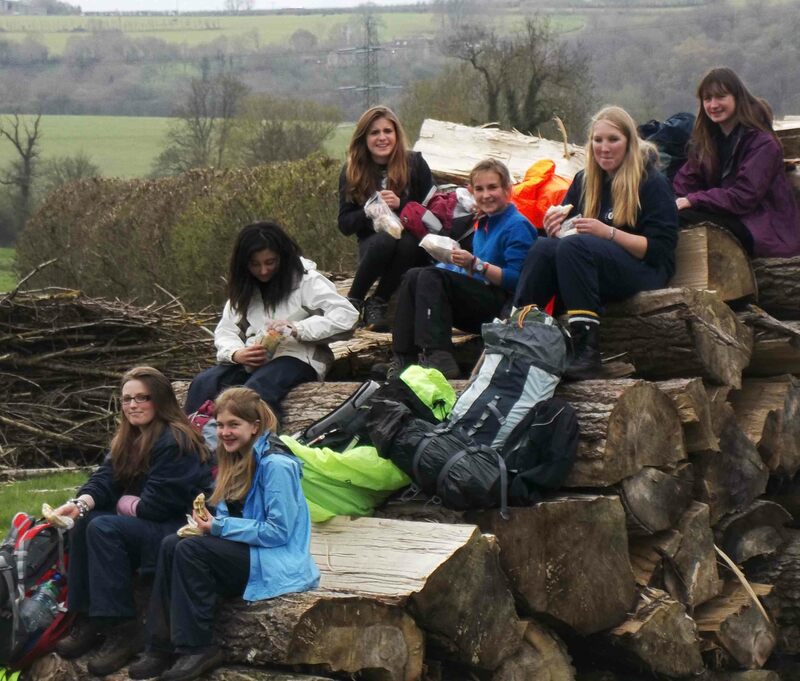 The DofE year has also been extended for us by starting in February and finishing in November. Thanks to Windsor and the regional panels for allowing us to operate outside of the usual DofE season. So it was with great hopes for a dry end to the season that we ( 10 instructors) headed down to Ashdown forest with 10 groups from Ibstock Place School in London to undertake a Bronze training program. The first day started off just fine and dandy with clear blue skies, albeit with a cold wind from the north east, great walking and training weather. The groups started in three separate locations and made thier way accros 15Km of open/rural countryside towards Broadstone Warren campsite where they were chased into camp by the encroaching darkness. There we set up tents, did our campcraft and cooking training then evening food partaken we scurried into our tents where we lay and listened to the crash and bang of all the fireworks displays taking place around us. Peace ( snores, fox’s barking etc etc being the exception) descended upon us after a while until about 3.30am when the rain started, by dawn it was rain on an epic scale. Small rivers pushing the autumn fallout in front of them were running through the campsite, it was actually quite hard to hold a conversation in the tent due to the noise of the rain on the nylon. However with limited daylight hours we had little option but to get out and brave the elements. For bronze participants the training event can be a very steep learning curve, lots to take on board. Navigation, Country side code, Health and Safety, Cooking and Campcraft etc etc etc. This was a baptism of fire for these guys but by 0930 we were all packed up and on our way. I was personally soaked by this time, the water was running out of my trouser legs, and that was despite all my top end gear. How these guys must have felt I do not know but with outstanding forbearance they shouldered their packs and smiled. The rain eased and by 1100 had stopped, however it had by then been replaced by clearing skies and a bitter north easterly giving a windchill of around freezing. At gold this would have been tough, at bronze this was really tough, soaked and being battered by a 50kph gusting wind in a freezing windchill was training indeed for these guys. Of the 57 participants no one dropped out, everyone made it through to finish, not just finish but finishing on their own, without the aid of the instructors who by this time had dropped back to distance supervise. What a result. What a bunch. Their team spirit was some of the best I have encountered this year and I have worked with many groups over the last 10 months. Praise to the lads and lassies from IPS who just blew the instructors away with their indomitable spirit in the face of a yellow weather warning. Now I sit here writing this with a pergola covered in drying tents, a washing line full of drying kit, house and office radiators holding steaming gloves and hats. 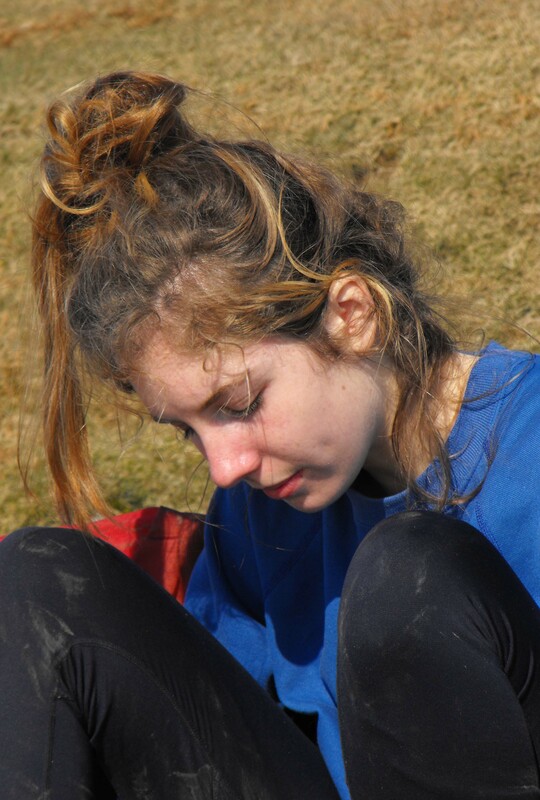 It is with a mixture of relief and regret that we have come to the end of another DofE year. Relief in as much as we might be able to get some time to catch up on our admin and the usual raft of tasks associated with running your own business and having an old house to maintain. Regret that comes from missing the highs that you feel as each of the groups come through to succeed at whatever level of the award they are undertaking. 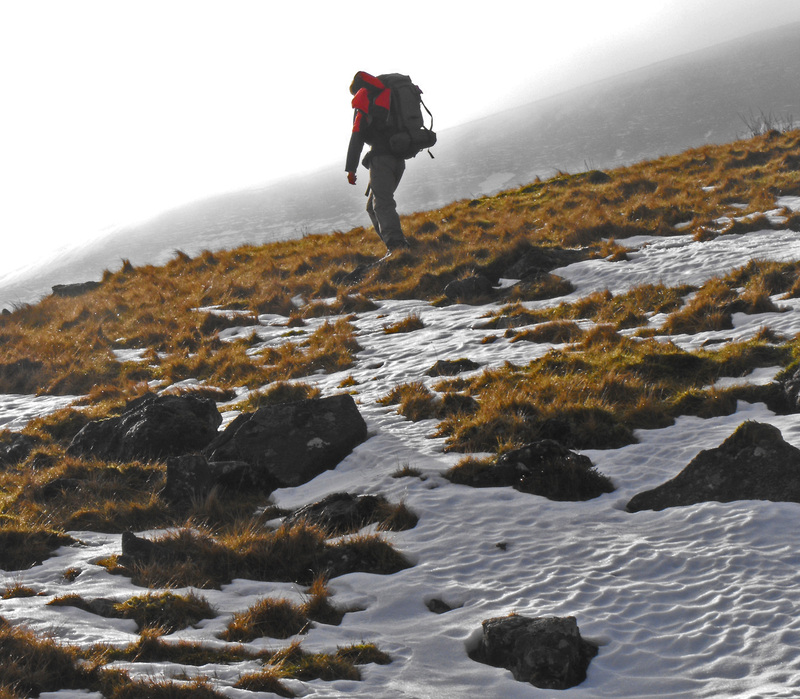 Still its time again to break out the axes and crampons and pray for the snow and low temperatures that mean fun to be had in the Scottish and Welsh mountains. First however its off to Chorro for a few days of sport on the bolted crags out there. This of course is the w/end that the clocks change giving everyone the benefit of another hour of bedtime. Not so for us, we decided to avoid any kind of temporal confusion and elected to form our own time zone called Chris expedition time. So enshrined in our own little time based reality we, all six groups from St Olaves school, headed out from Cheston in the extreme southerly end of the moor into a cloud and drizzle enshrined world. The first day saw us crossing the higher areas of southern Dartmoor to a wild-camp at Huntingdon cross. By the time we arrived and had gone through camp craft training the heavens had opened and the rain was heavy and persistent. Dinner cooked and scoffed we bedded down into the security of well pitched tents and warm sleeping bags. All that night the rain hammered and harassed our tents, the wind picked up and howled like some insane baskerville hound looking for revenge, it was with extreme reluctance we extracted ourselves from our bags, donned wet weather gear and braved the elements the next morning. Group 6 on day one when it had not yet started raining. The second day was one of extreme caution and safety predominated travel, the little brooks on the moor were by this time torrents, even the ones that could be stepped across were treated with real caution as a slip and a dip would have been real issues. The larger ones were crossed by convoy, bags passed, intermediate protection in place and helpers on the other side to ensure safety. The cloud came down as the rain eased giving good opportunity for Navigation training and by the time we were all camped near Princetown it was misty with a clearing sky under approaching darkness. Dartmoor can be hard, this was proving to be very hard on the groups, we were wet, tired, emotionally drained and it was getting cold under a clearing sky. However a good meal, some dry clothes and a warm bag set us up for day three. This was the longest day that we had planned, over 20K for most of the groups. However the sun came out and we steamed our way over towards Nodden Gate with increasingly higher morale. There was no way we could attempt our fair weather routes for this day, the legacy rain fall from the gigantic sponge that is Dartmoor meant that the rivers were still “difficult” and this was the day that the practice groups were “let loose” by their instructors to operate on a distance supervised basis to prove that they had mastered the navigational toolkit we had given them over the last two days. The last group scraped into camp just as the sun was setting and all the others who had arrived earlier pitched in to help these guys, who were pretty chinstrapped by this time, to put up tents and cook their meals. The last day saw all the groups cruise down into Oakhampton to complete a south/north traverse of the whole moor, an excellent journey under some of the most challenging conditions I have worked in this year. There is no doubt that these guys are now more than mentally prepared for their assessed venture. Four days and three nights of wild camping over bogs and insane rivers in heavy rain, cold nights and challenging navigational conditions cannot be bettered as a real training event. As instructors who regularly put up with difficult conditions we cannot praise these guys highly enough, not only did they cope but they remained cheerful throughout. I would not have elected to do what they did in these conditions had I had a choice, and they all did. Praise to the pupils and the staff ( Rosie, Siobhan, Sarah and Paul who were out in all weathers training as well) from St Olaves school from Chris, Jane and Jenny !!!!! But remember to change your clocks now guys. “BING” went my car warning system, instant panic ensued. Flat Tyre? Brake failure? I was driving alongside the eastern end of the Glyders towards Capel Curig, the sun was yet to rise over the horizon and the early morning mist was floating over the water of Llynnau Mymbyr in a ethereal fashion that any horror picture producer would have been instantly jealous of. 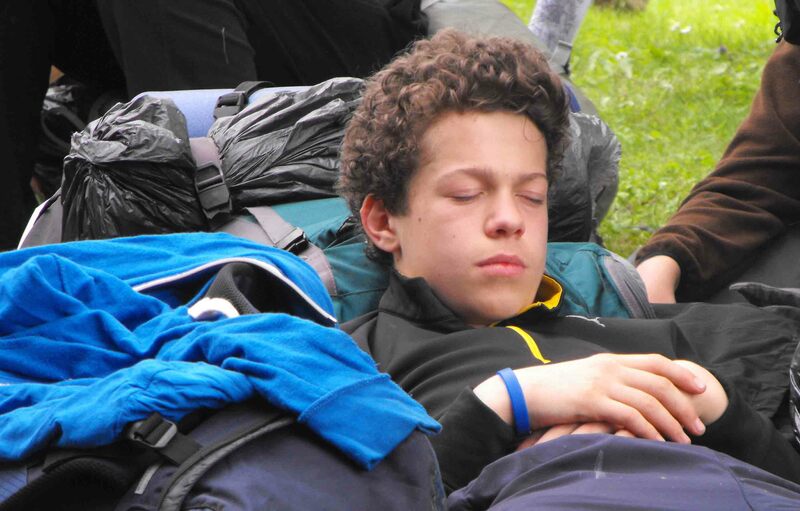 I was on my way up to the Dulyn where the two groups from Ibstock Place School had overnighted on the first wildcamp of their gold qualifying expedition. Starting from Penmenmawr the previous day they had crossed the northern end of the Carneddau range and camped under a wonderful starry sky in the high choire of the Dulyn. October in Snowdonia is always a thought for Gold expeditions; shorter days and the opportunity for dreadful weather gives cause for concern in the event of navigational blunders, especially when groups are on assessed and are distanced supervised. However the first two days of the expedition went off under beautiful clear autumnal blue skies, navigation was “on the ball” and spirits were high throughout. Day three found the groups in the Ogwen valley with a high level crossing of the Glyders on the agenda. It was under a glowering sky that they set off up the Miner’s Track towards the mist shrouded tops some 500m above them. No worries though, they navigated on compass bearings and made their way over the top and then down to the Roman Camp and Llyn Gwynant and then up to the Gladstone Rock area to wild camp under their target for the fourth and final day of the expedition, Snowdon itself. 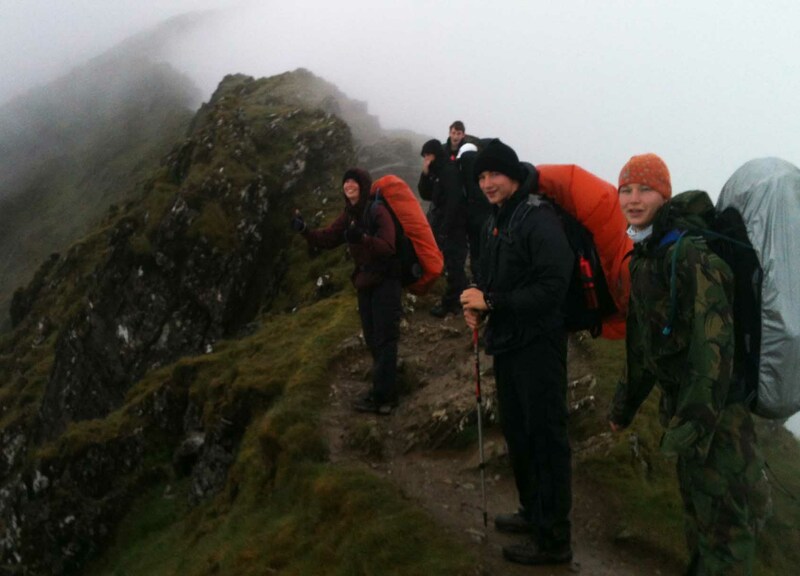 Boy did it rain that night, but well before dawn the groups were up and away at first light – 0730 – to tackle the South Ridge which put them on the top of Wales’ highest hill by 1000hrs and 1100hrs respectively. Although the sun tried to penetrate the clouds, the ridge remained enveloped giving only tantalising views of the mist shrouded valleys below. Not to worry, the groups’ spirits remained high and they were down to finish in Llanberis by early afternoon. An excellant expedition completed by very cheerful and competent groups. 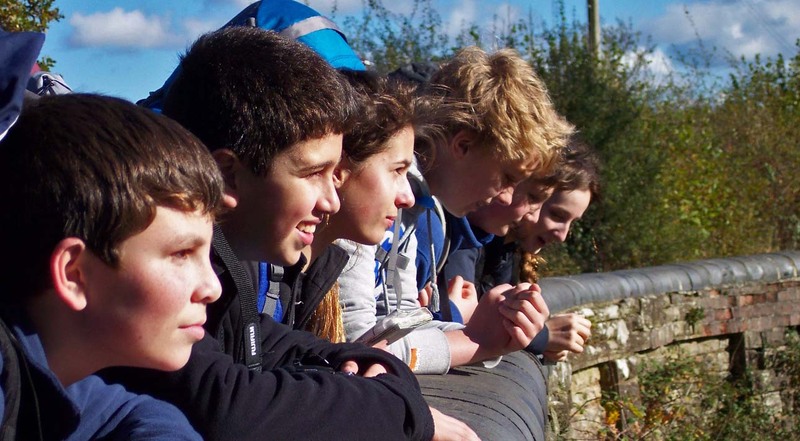 There is always a flurry of DofE expeditions and activity at the end of the summer holidays just before everyone gets back into the academia of the new school year or just before everyone heads off to university, this year was no exception. I was just ( literally the night before) back from Pakistan ( Pakistan Aug 2012 ) when I headed out to join Jane and the participants on our open Gold practice expedition in the lovely comfort of Smithies bunkhouse where there were route setting and planning for their four day expedition. Thankfully Jane had prepared everything in my absence so my Jet Lagged state did not mean I was totally unorganised. I had brought the sun back with me and the groups performed excellently in their circumnavigation of the Black Mountains in generally lovely weather. They picked up all the required skills really quickly from myself and Choire and we were able to let them just get on with it by the close of day two, keeping a discrete eye on proceedings from a distance. These guys are all more than ready for their qualifying. Jane by this time had headed off down to the New Forest to meet Chris and Jenny where we were supervising and assessing six groups from Ibstock Place School who were undertaking their qualifying silver venture. The sun did not shine for these guys and there was many a wet boot by the end however the groups were fantastic, our training had clearly been heeded and these six groups took all the that the weather could throw at them and cruised to success navigating perfectly through the challenging close terrain of the Forest. I had now slunk off to the bogs of Dartmoor where guess what, the sun was shining on me still. Five groups from Kings College in Taunton were putting up with the sunshine and romping around the moors wild-camping as they went. Spirits were as high as the sun although the heat created its own challenges for the groups. There was even a couple of 18th birthday celebrations along the way which gave the groups the opportunity to wear silly hats. However the cold beers would have to wait till later. Jane and I then coalesced in the main Brecon Beacons where St Mary Redcliffe and Temple school guys were taking on their qualifying venture. Unfortunately the sunshine did not last and by day two the group were down to 10m of visibility on the high hills of the Brecon Beacons, by day three the low cloud had been supplemented with horizontal rain. Day four brought the sun out again and the group gently steamed their way into Dan-yr-Ogof to finish in superb style. They were brilliant, they were all brilliant what a great way to end the summer and head back to school or onto university and into Autumn. We have a break now of two weeks to catch up with all our admin and get climbing fit for our annual trip to Kalymnos. Thankfully the heat of the previous week had dissipated slightly by the time we grouped at Dyrham village to start the bronze assessed expedition for a lone group from King Edward’s School in Bath. The group meandered their way through some of the most lovely of the Cotswolds scenery, over Little Solsbury Hill at Bath and then down past Bradford on Avon to finish along the River Frome and into Rode. The heavens opened just as the group were breaking camp on the second day but they coped admirably and cruised to the finish exactly on time. Over the last three weeks we have put over 12 expeditions into the field and in the process managed over 1500 participant days out. I would love to say that I was responsible for this mammoth feat of management but the truth of the matter is that I swanned off to Peru ( see Paramount picture perfect in Peru ) leaving Jane to manage all the admin and organisation, coming back half way through to get involved in a couple of the expeds. 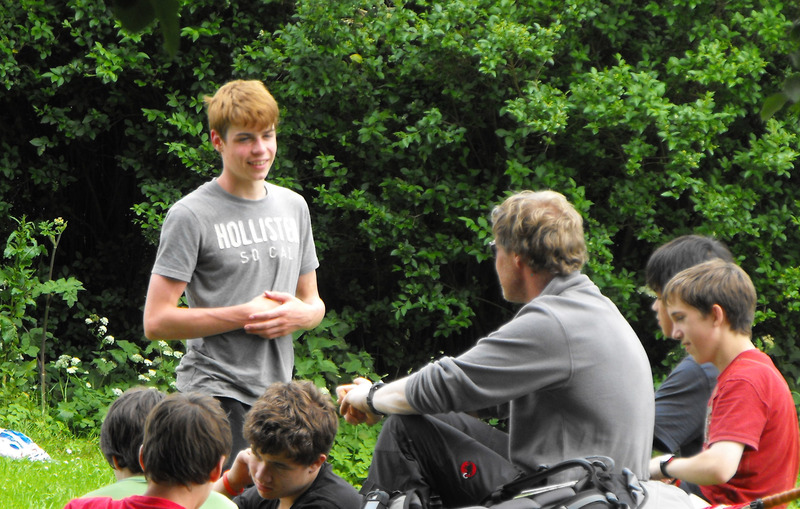 Jane and Brett started the ball rolling with Kings Taunton school’s Bronze Assessed expedition. Eight groups braved 2 days of continual rain in Exmoor. From there Jane (supported by Chris, Jane and Jason) went onto the Brecons for the Mortonhall Girls’ school gold practice expedition where seven groups went through their paces in very discrete areas of the Brecons, wild camping in some pretty miserable conditions. This was directly followed by the Monkton Combe silver, supervised and assessed by Simon and Jane in the Brecons. These groups covered Gold standard routes in excess of 20 km, wild camping and taking in most of the high hills in the main Brecons. Jane, our Jane, was by now braving the downpours in Snowdonia assessing where the Mortonhall Girls were on their Gold assessed. Mortonhall girls looking cool ? By this time I was back and in the Lakes with Downside school on Silver and Gold assessments braving the continuing rain.. Downside Gold group in a rare period of non rain. whilst Brett and six other instructors were looking after 11 groups from Monkton Combe on their Bronze practice in the Marlborough downs (in spells of sunshine!!). It would be wrong of me to single anyone group or school out for praise, Some of these guys put up with four days of continual rain in conditions that I would have run away from. Some were on assessed, some were on practice at all levels of the award. I can see for miles and miles. Monkton Combe Gold Assessed in the Lakes. The one thing that is common to all is their perseverance in the face of foul weather and the overall standard of their efforts. Well done to you all guys and special thanks to the WCC instructors who made these expeditions so safe and enjoyable for the participants. The forecast for the next day (the day of the Diamond Jubilee) was for incessant rain. I have never seen this term used before on the mountain weather information service but I now know what it means. It means you are gonna get very wet, it means you and most of your kit are gonna get very very wet. We managed to get our tents up and the assessors briefing done on the Sat night just before the rain started. It was never really heavy, just incessant and accompanied by a cold wind. 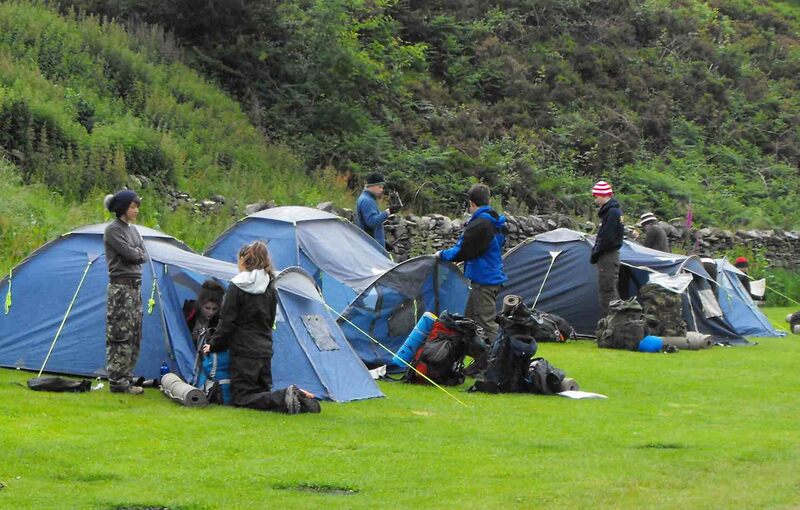 The five groups (four on assessment and one on practice) from King Edwards School in Bath were stalwart; they got their tents knocked down, fed themselves, packed their rucksacks and headed out into the rain on their various routes into the mountains. They had faired a lot better than others in the campsite, others who had abandoned their weekend at three in the morning after their tents had been demolished by the wind and the rain. The campsite in general looked like a bit of a refugee camp that morning. The groups had survived the night with well pitched tents and had opted to give their fair weather routes a bash but it became fairly obvious quite quickly that these were not going to be an option and that the foul weather routes were going to be challenging enough. The cloud was down on the minor tops and the rain just kept on coming. By the time four of the groups arrived in the Dulyn area to wildcamp for the night they were soaked through and spirits were pretty low. The fifth group had elected to camp above the Llyn Colwyd reservoir but the ground conditions were not favourable and they ended up walking over 30K that day and camping at the Bryn. Next day however the groups emerged from their tents, eventually, to a brightening sky with a strange looking yellow ball in it which made all their clothes and equipment steam gently. So with the sun in the sky the groups made their way to either Dollwydellan or Gwern Gof Uchaf, some of them completing a 12 hour day. The Red group who had walked over 30K the day before did a high level traverse of the Glyders to end the day very weary, and a tad broken, at Nant Peris. A substantial meal should be cooked each night, no problem there. However pasta quaffed and a good night’s sleep saw all the groups ready for day three and a convergence of routes into the Gladstone Rock area of the Snowdonia National Park. Even tho the weather was not great again, with rain and low cloud on the tops, the groups morale was high as they crossed either the Glyders via the Miners track from the Ogwen valley or over the Molwyns to converge on the wildcamp site. The last day of the expedition saw all the groups coming up and over Snowdon via the South Ridge to finish their expedition in Llanberis. 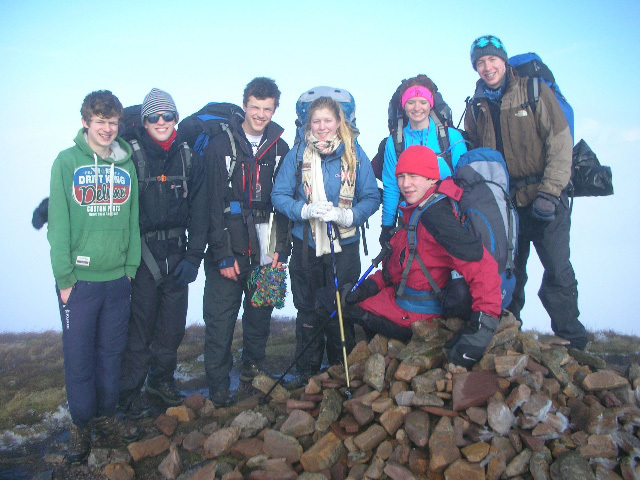 These were the groups who had done their practice in the Brecons in February in temperatures of minus five. However, I do not think that there would be one person in any of the teams who would not agree that Snowdonia in June was harder. 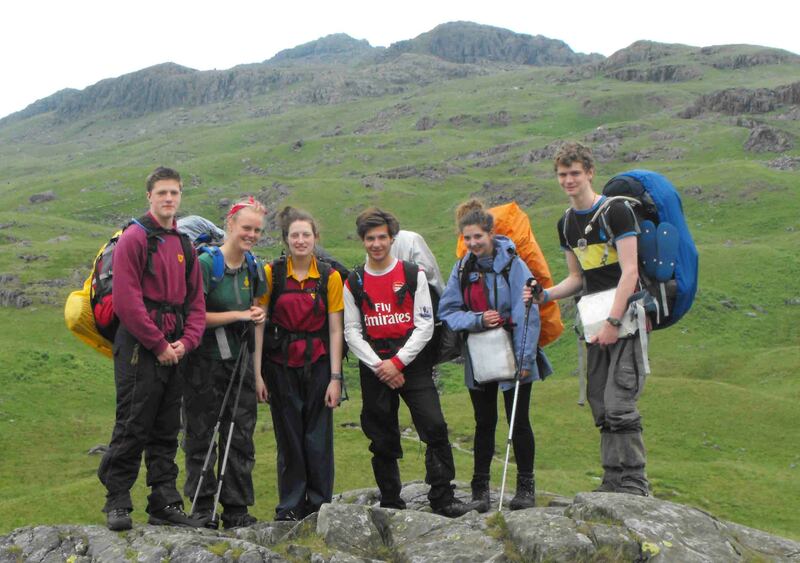 These guys just epitomise what Gold DofE is all about. They took the highs and the lows, got through them, not always easily, and learnt from the experience. Their performance between the practice and the assessed went through an almost paradigm shift in ability and attitude. Foul conditions, some 12 hour days and routes over wild country which took in every major mountain chain in Snowdonia combined with an ascent of the highest mountain there. Hats off to you guys. Well done! King Edwards School should be proud of you. I know I certainly am. Little April Showers (23rd April 2012) DofE Silver in Swanage. The coach pulled into the Visitor centre car park at Corfe Castle and disgorged its contents onto the gravel. 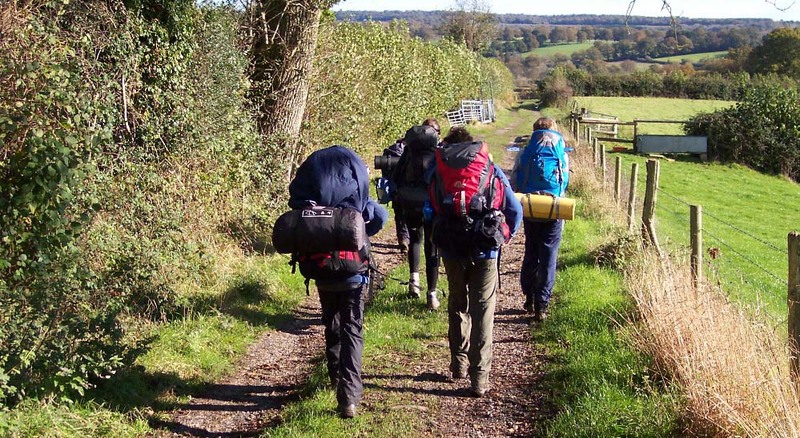 The 40 plus DofEers from Ibstock Place School in London gradually coalesced into six teams of eager beavers ready to take on all the area could throw at them in the Silver practice. About an hour later with rucksacks repacked and adjusted, kit syphoned off etc., we set off along the ridgeway to the various campsites we had chosen for our groups that night. Sunshine deteriorated as the brisk northerly wind drove the April showers down upon the groups just as campsite was reached. Amazingly the shower was so heavy but so isolated that the roads some 100m from our campsite were flooded but we were relatively dry with only a few spots disturbing our cooking and pitching training. That night the rain picked up and gave our tents a battering but stopped just as the groups got up to cook breakfast, amazing. That day saw some lovely sunshine with some heavy showers of hail being sent to harass us just in case we got too comfortable. The groups covered some real mixed ground from cliff tops to heathland to forested areas, all designed to throw different navigational challenges at them. Paddy looking like a thinker, hmmmmm. They coped admirably but it was a steep learning curve with Jenny, Jane, Brett and Dave demanding high standards from them. The next day, after a late finish the previous night for some we coasted around the south coast path to finish back at Corfe Castle just as the heavens opened in yet another of April Showers, this one designed to ensure we had not had too easy a time of it. The groups rose to the challenges taking the steep learning curve in their stride and showing the Jurassic coast they were capable. 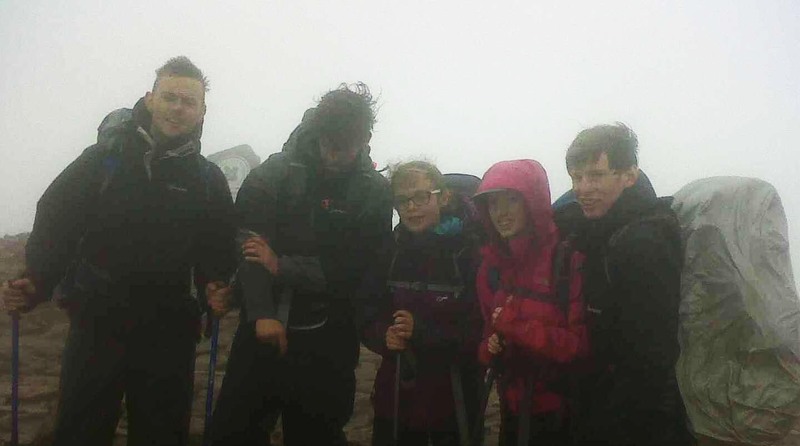 Well done guys, a credit to your school and the DofE. I am so used to doing Gold and Silver in really wild country that I forget sometimes what our pastoral areas are like. It also of course makes you appreciate with fresh eyes the area in which you live when you get back out into it after two months of high hills and moorlands. It was like this when Jane, Brett and myself headed off to supervise and assess six Bronze groups from Monkton Combe school who were walking from the north of Bath to Rode ( which is just short of our offices in Frome. The fields resonated in a patchwork quilt of colour with rapeseed yellow oscillating against the verdant green of fresh growing grass and cereal crops. The chestnut trees were wearing their newly grown coat of leaves and threatening to light their candles at any moment whilst all the soft fruit trees were waving an icing of blossom at them. It was really magic to be out in the rural countryside at this time of the year. The weather was challenging, as always, with the overnight temp dropping to minus three but the groups coped admirably with the conditions. As always with the Monkton pupils they were excellent and all groups passed with flying colours and in the process setting themselves up for silver next year. We look forward to working with you all again next year guys. My pergola outside the office windows is festooned with drying tents, maps, waterproofs etc etc; all the paraphernalia of a two week stint in the Brecons, proof, if it were required, that the weather did not behave for the public holiday. 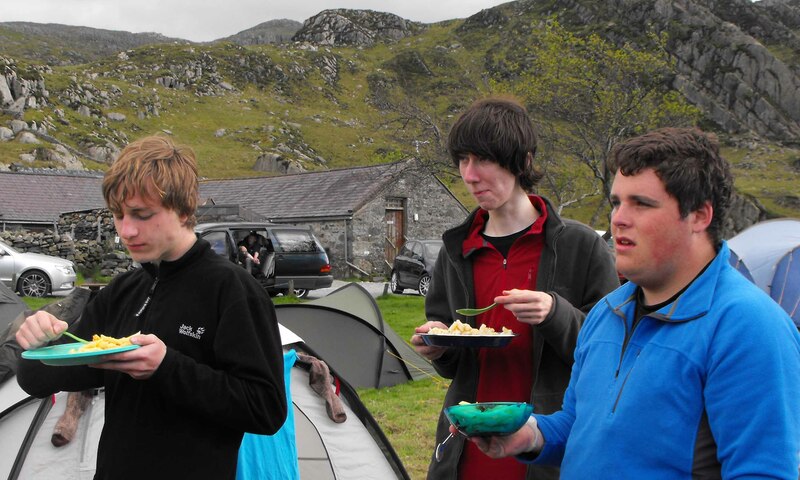 Easter is, of course, one of the peak DofE times of the year with dozens of groups out and about in the wild, and not so wild, areas of the UK, and this year was no exception to the rule. It seemed no sooner was I back from Dartmoor with a sunburnt face, than with freshly laundered kit I was off with Jenny and Dave to meet up with our six groups from St Olaves school in London. They were qualifying and had set routes that gave them a complete traverse of the Black mountains and Brecons. Something of a change in the weather was starting and with glowering skies the groups set off from their various start points. The day however stayed dry and after a cold night the next morning dawned cold and frosty. The newly born lambs were attempting to find their feet and the primroses nodded in the lovely spring sunshine. This was a lovely day for DofE and the groups enjoyed it to the full cruising their routes and enjoying a relaxed evening meal in the late afternoon sunshine. Over the next two days all the groups completed their routes in really good style, and in continuing dry weather, showing up most of the other groups on the hills with their excellent preparation and confident navigation. Well done guys a superb effort and an excellent gold expedition. No sooner had these groups finished than the rain started! Hey ho! I was staying over and being joined by Jane for our Easter Open qualifying expedition. The participants arrived the next day along with the snow. Fortunately we had a nice cozy bunkhouse with a fabby log fire to hide in, but that was no excuse not to get out and do some navigational practice the next day. I know that DofE is not expected to take place on snowy hills, but no-one ever said anything about navigational training, so out we went stopping just short of the top of Sugar loaf as it was just too icy to go to the summit. Why is the path full of snow ? So, after two days of route setting, kit checking etc. 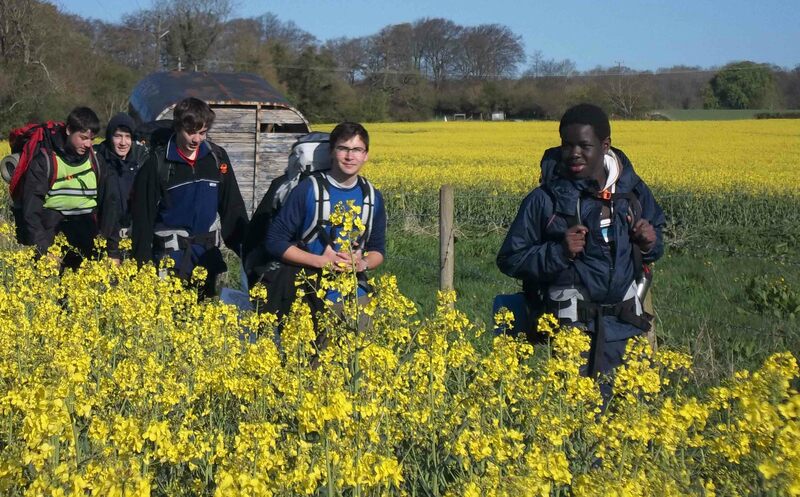 etc., the groups left the comfort of the bunkhouse in lovely spring sunshine to start the four day expededition. After the first day we met the group in the campsite to smiles and comments like: “That was easy, a lovely day out”. Next day however was a different matter: low cloud, paths filled in by drifting snow, rain etc., etc., meant a ten hour day that almost wiped the smiles off the group’s faces. However it was Bryony’s eighteenth birthday and her friend Elise had carried a birthday cake for her – now that’s some friend. So, smiles restored, the group sat down to chocolate cake and a quiet night in a field in the north of the Black Mountains. An eighteenth never to forget. The next two days saw some challenging weather but a confident approach to it. I remember training these girls in Dartmoor last year, Charles had been with us before and Nick was new to us and the team. The improvement in confidence and ability was incredible. 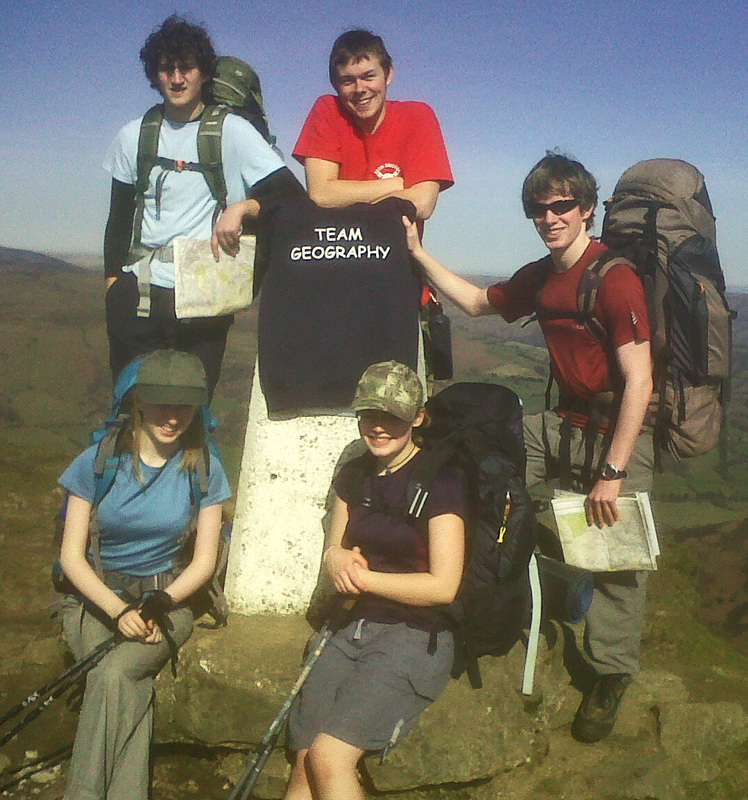 That’s what I like about the DofE and this group were the epitome of this. Brilliant! 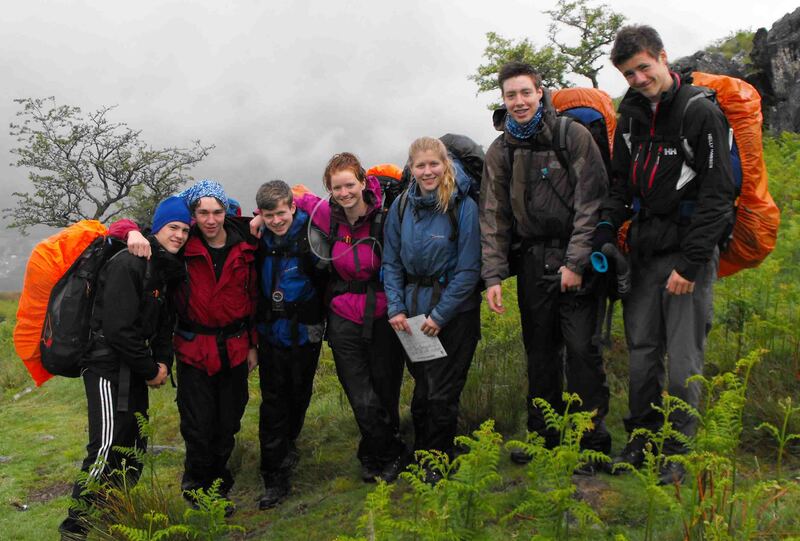 Well done to all seven teams and a successful end to your DofE, I hope you all go on to use the skills you have learnt. What now?… Three days at home and a real bed till our next expedition. Whohooo! Dartmoor to me is a sodden, boggy, overcast and generally rainy, windswept uninspiring place where people justify their walks by looking for tupperware boxes (letterboxes) that have been secreted in various unlikely places. Am I selling this to you ? 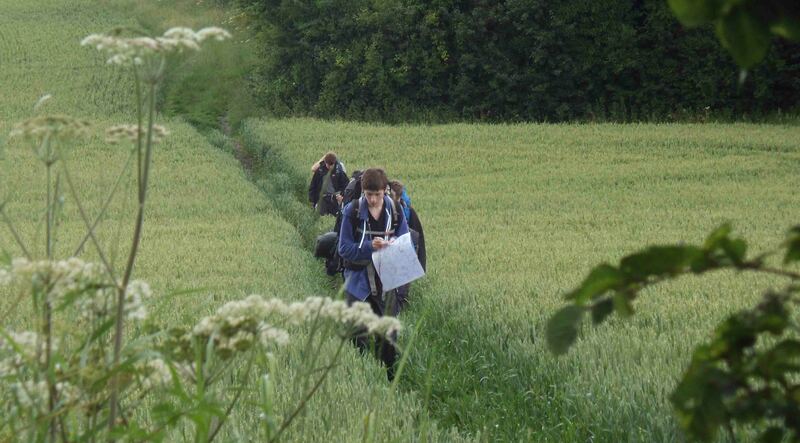 However it is a great place to hold a gold DofE practice expedition. Why? Because if you can navigate on Dartmoor you can navigate anywhere, there is unlimited potential for wildcamping and if the weather is inclement then you can test the kit and the staying power of most individuals. Over the next four days we walked (and sometimes squelched) our way over the moor wild camping in the most idyllic of spots as we went. The groups performed superbly, in fact Dartmoor just could not contain them and they cruised their daily 20K plus routes in extremely good style. After the first day and a half of accompanied walking and training they just got on with the job like seasoned professionals. One of the groups had an aim of finding letterboxes (thankfully without the use of a GPS) and this proved to be great fun and embedded the navigational skills Simon, Matthew (The school chaplain) and I had hopefully given them over the first two days. 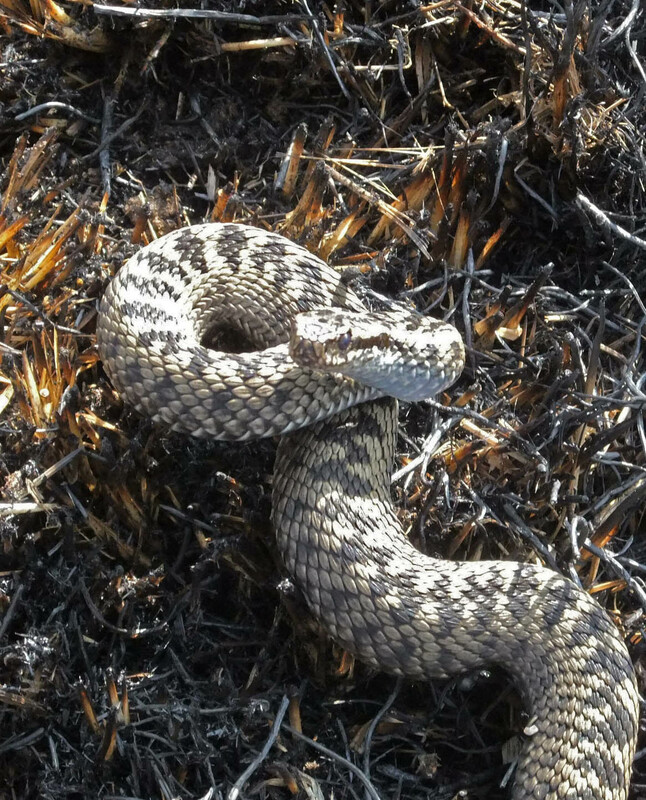 The moor was waking up from its winter slumber, the groups spotted adders, common lizards and a pair of marsh harriers were seen floating over the torrs. The wooded valleys were alive with the calls of the returning willow warblers and it was just such a beautiful place to be in the spring sunshine. Am I converted? No! I fell in the river Tavey, a complete head over tip job, not the fault of the moor I know but I have to blame someone. Cant wait to see these groups in the lakes; must go and have a look at their routes and make sure they are long enough !!! Sitting at my computer early doors on Monday morning I can feel the aches and pains produced by the first full pack expedition of the year. 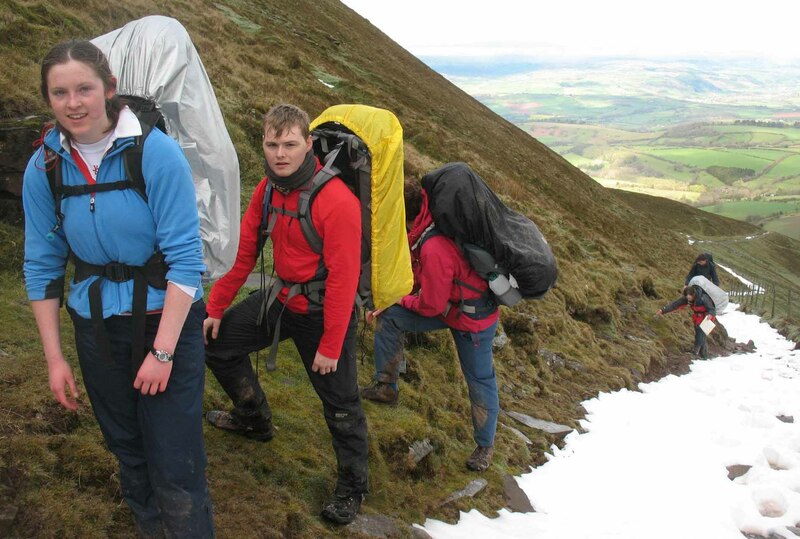 It’s something that I feel every DofE supervisor and assessor should do regularly, actually get out with a full pack and follow the groups over the hills and through the bogs to remind themselves just how much of an effort the groups make to achieve the award. All too often I hear the comment “I’ve done that, it’s their turn now,” from an instructor heading off for a bar lunch as the participants sit around a trangier in a miserable campsite. Then they turn up the next morning expecting their charges to be up and as cheerful as they are. So with rucksacks at the ready, rations trimmed to a ” let’s keep the hunger away with a lightweight high calorie intake option” and a certain amount of foreboding in our hearts Jenny, Dave and myself headed off to Snowdonia on Friday morning to meet up with our charges for the coming w/end. Some of the girls from Moreton Hall school for Girls are getting ready for an assessed trip to Morocco and some to Snowdonia, first however they are going to do a practice expedition in the Brecon Beacons. So in a soggy campsite (which has a hard neck charging £5 a head for an unmanaged field, ok they have toilets but then charge 50p for a shower!!) just underneath the castle in Dolwydellan we pitched our tents and awaited the arrival of our 50 plus girls. Arrival, briefings, tent pitching, campsite and cooking disciplines embedded we settled down for a great, for me anyway, night’s sleep listening to the gentle patter of the rain on nylon – ah North Wales don’t you love it. The morning dawned, sort of, under a blanket of low cloud and mizzle (dour I would call it) but undaunted we set off, in five groups of 10 or so, in the general direction of the Moelwyns. Navigating, adjusting rucksacks and clothing we made steady progress towards a wood we had to traverse to gain the hillside. Two hours in Poppy fell in the river. A good start! The track through the wood deteriorated into a bog from hell which quickly dispelled any idea the girls might have had of staying clean and presentable. 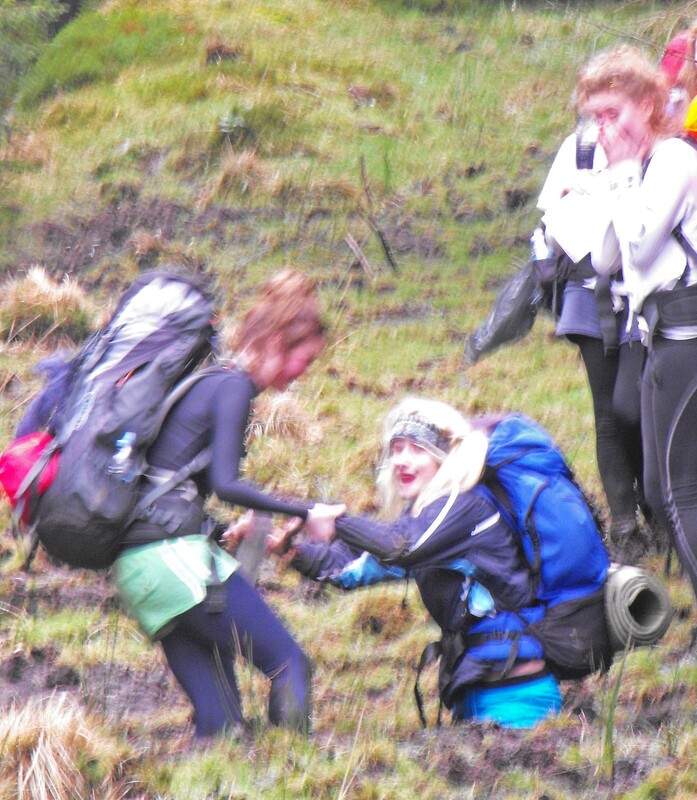 Then with the open hillside in view, Alice simply disappeared up to her waist in muck – brilliant!! This was becoming really entertaining. You must forgive the quality of the picture, I was laughing too much to hold the camera steady. There then ensued the most ridiculous episode of trying to extract Alice from the Bog. Alice got out, but I got stuck, then someone else who helped me got stuck, etc, etc, etc. By the end of it all we were filthy and generally had really sore sides from laughing so much. After crossing the Molewyns and the Nant Gwynant valley all five groups converged at various times, one in darkness in and around the Gladstone rock where we were wild camping for the night. We were all tired but once tents were up and pasta eaten the sound of the water in the Afon Cwm Llan as it cascaded over the waterfall lulled us into a deep night’s sleep. The next morning we were up at six into what can only be described as one of those halcyon days where it is just good to be alive. The early morning stars were still out with Venus and Jupitor twinned in a brightening sky. A soft cloud was rolling up the hill from the valley which gradually thickened as we ate our breakfast, then with tents packed and rucksacks shouldered onto bruised and complaining bodies we set off to the Bwlch at the bottom of the south ridge of Snowdon. 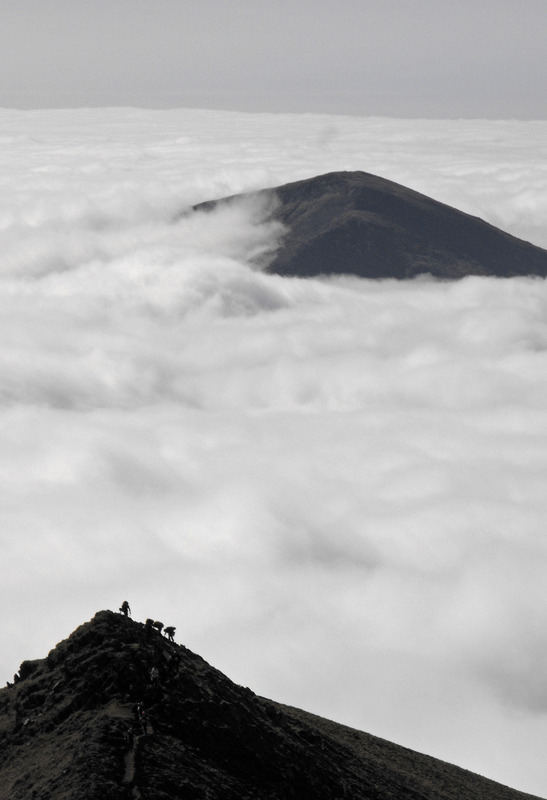 By the time we arrived there the cloud was lapping at our heels and as we started to climb it overtook us and plunged the group into a murky world of muffled sounds and filtered sunlight. We pressed on up the ridge, which turned into a never ending slog of false summits in the 50m visibility of our world. Then with the summit summated, lunch munched and much high spirited conversation we headed off down the tourist path towards Llanberis and the coach awaiting the upload of many muddy, tired, but very self satisfied girls. And so they should be, a brilliant effort for a training w/end taking in the highest mountain in north Wales and the boggiest bog in all of bog land. Can’t wait for the practice now. Whilst we were trudging through bogs in the north of wales Jane and Brett were enjoying the warm spring sunshine in the East Brecons with two teams from St Mary Redcliffes school in Bristol. Again this was a two day training event preparing the groups for the up and coming practice expedition in July. The two teams assembled in Park Farm campsite in Crickhowell on Saturday morning in glorious sunshine ( some things are not fair, if it aint rainin it aint trainin ). Campcraft and tent disciplines established the groups headed out for an afternoon of navigational training. The warm spring sunshine had the groups spirits as high as the new born lambs that were running around in the fields and after an afternoon of pacings, bearings, tick features and handrails the groups confidently found their way back to the campsite for stove training and to cook themselves a great three course meal. The next day with full packs and a confident approach to navigation they made their way up and over Sugarloaf, the highest hill in the area. The sun continued to shine and the groups spirits were an equal match. Solid performance and a credit to their school. The DofE season is March to October (for obvious reasons: daylight hours, risk of really bad weather etc etc) so it was with a degree of trepidation that I approached Windsor and the Welsh panel to ask if we could run a practice expedition in the Brecons at the start of February. Chris Cunningham at King Edwards in Bath had asked me if it was possible to do this due to “academic pressure” at the school and I was both relieved and concerned when permission to do this was given. I was in Scotland the week before the expedition, I was enjoying the cold temperatures but this was tinged with concern as the high pressure over the south kept temperatures hovering around the -10 mark in south Wales. Then on the Friday, the day before we were due to start there was a dump of snow on the area. It did not look as if fate was going to be kind to us. Chris, Jenny and I had a Friday morning confab, a discussion with Rob Clapham at the welsh panel and decided to go for it. It was not however without a real nervousness in the pit of my stomach that we headed over to Halfway at the northerly end of the western Black Mountains on the Sat morning to meet the coach that disgorged the hatted and gloved expedition participants for the next four days. There were four groups of seven who had set routes from Halfway to the Story Arms via camps at Blaneau, Dderi and Penllwyn-Einon, some 65 K over some fairly largish hills. After a late start on the Saturday we were left navigating down into the campsite by headtorch as the first days route had taken slightly longer than anticipated. Putting tents up and cooking in the dark is a baptism of fire, especially in freezing temperatures. it does however put a focus on things and the groups were tucked up in bags and tents within a couple of hours. That night the temperature went up above freezing (at last) but it did not make the conditions for the next day any easier. We were due to climb up over Fan Brycheinog via various routes, the groups that went via the Brecons way made it onto the tops but the two that had routes that took them via Llyn y Fan Fach were to be denied the ascent due to the steep ascent path on the north side being covered in thick ice. With the cloud on the ground and some really challenging conditions the groups micro navigated their way around or over the ridge to Dderi farm and a welcome hot meal and sleeping bag. Next day things got really tough, with low cloud, sleety rain and a windchill well below freezing, it did not however keep the groups low and they completed their “fair weather” routes over Fan Nedd in some pretty awful conditions to arrive at a less than comfortable campsite where the continuing windchill and sporadic rain had them tented and bagged in record time. Tuesday morning ( Valentine’s Day) with the end in sight the groups cruised over Fan Fawr and Fan Dringath in improving conditions to arrive safe and sound at the Story Arms where a visit to the burger van was enjoyed to the full. What can I say that does justice to the tenacity and forbearance of these groups. 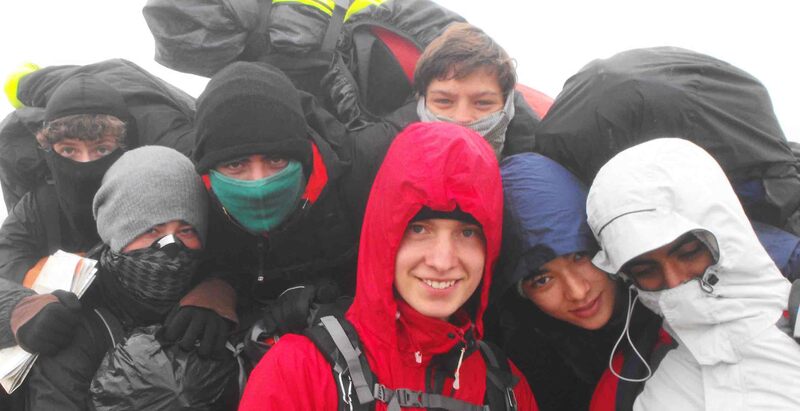 Not only did they complete a tough expedition in cold and challenging weather but they learned and grew from an individual and team perspective keeping generally cheerful throughout. So now it’s on to Snowdonia for them in June, I am sure that whatever north Wales throws at them they will be prepared and able to take it in their stride. 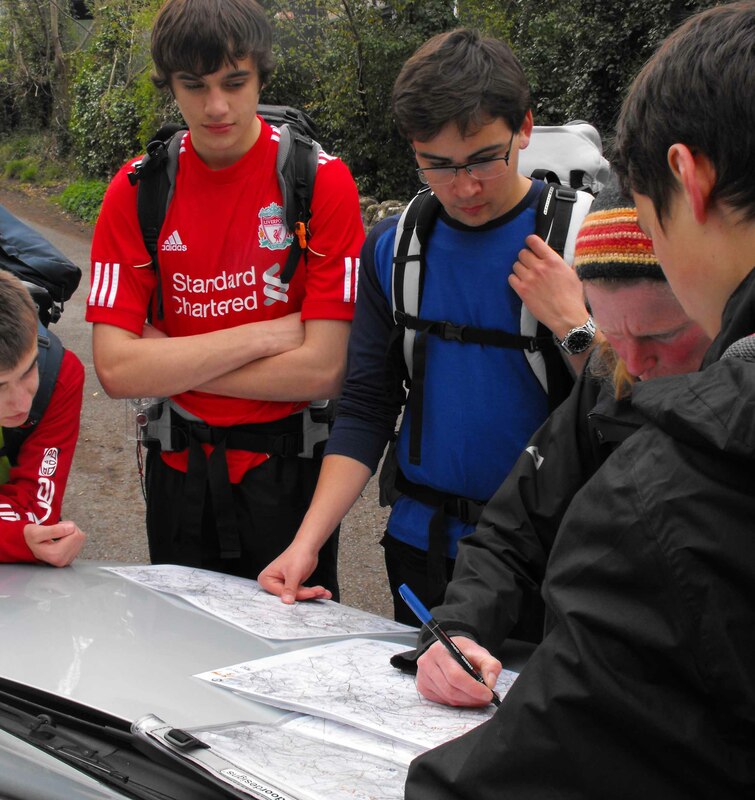 Top effort to those guys, it sounds more like a WML training course than D of E !! 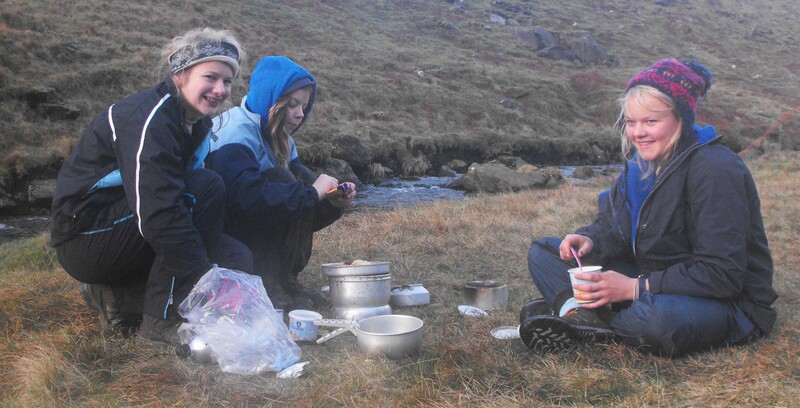 There was me thinking it was a bit early to be taking teenagers out – and then I remembered I suffered hypothermia for the first time at 14, camping in well sub-zero temperatures. 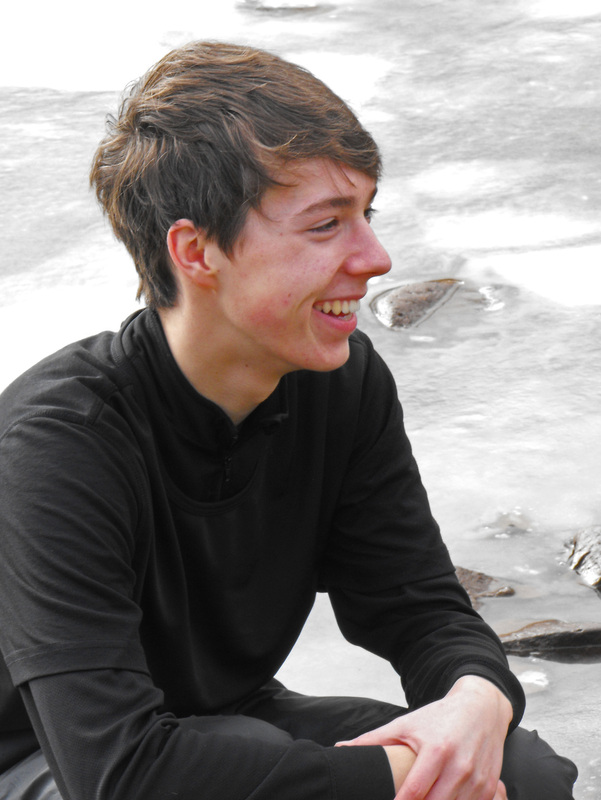 The standard of leadership and care has improved hugely since then (the early ’70s), and it’s one of the things I love up the hills – seeing young folk out on their DofE and being challenged and coming up to meet that challenge. Lots of respect to you, Chris, and all the others who help them do that. I cannot sit here and say its complete altruism on my part Neil as I am paid to do this work, will never make me a millionaire but that not why we do it so I guess a degree of altruism does exist. People often ask me whether I enjoy working with young adults ( coz that what they are, if not when they start then almost certainly when they finish) or adults. There are pros and cons to both but the one thing about the DofE is that even although these guys pay to be there they do not think they have a god given right to pass. Some of the adult clients you get feel that coz they have paid the money for the trip it is your ( meaning my ) responsibility to get them to the top, control the weather, fix roads that have been washed away and generally cure the sick. Yopu are right these guys have done brilliantly coping for four days in Feb in the Brecons, they are a credit to themselves and their school. Fantastic weekend! Amazing to have such beautiful weather so early in the season, and what a great bunch of students – a real credit to St Mary Redcliffe sixth form. 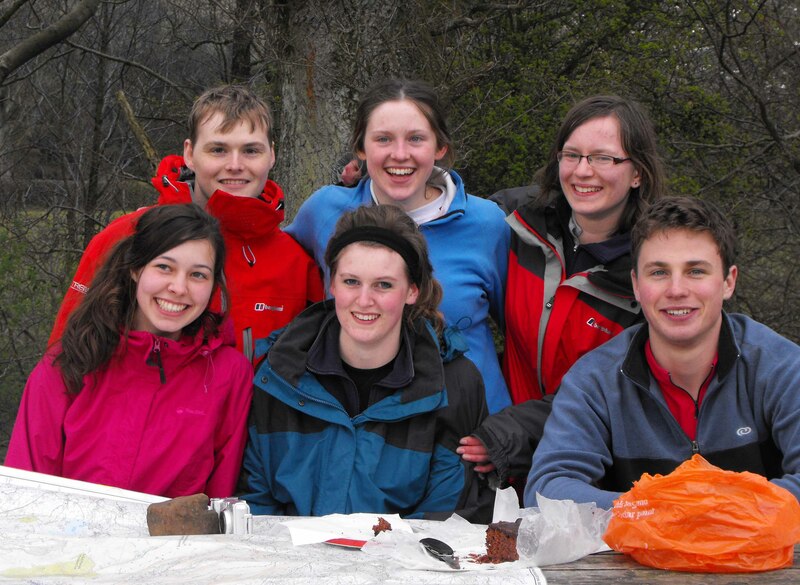 Well done guys, and I’m glad to see I’ll be working with you again for your practice expedition in July. It’ll probably be freezing cold and raining, so be prepared for anything the British summer can throw at you! Remember: sun cream, thermals, waterproofs, gloves, sun hat, warm hat, sunglasses, and lots and lots of water! In the meantime, best of luck for your exams, I’m sure you’ll all do brilliantly. Thanks for all your help Brett and for accomplishing such a lot of training in such a short space of time.Lets hope the weather keeps smiling on us. Chris. 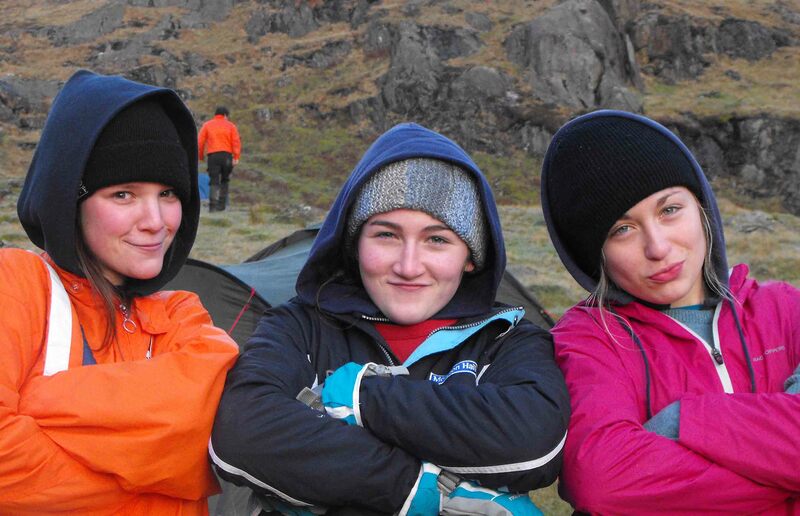 We also do our Gold Qualifying Expedition the last week of the season in Snowdonia. Good to hear that other groups are also suitably mad to do this as well. This year’s was a pretty tough and wet one…with even less daylight than usual. Our groups coped well with it though and all managed to complete it.